Rock, Pop & Soul with a twist! 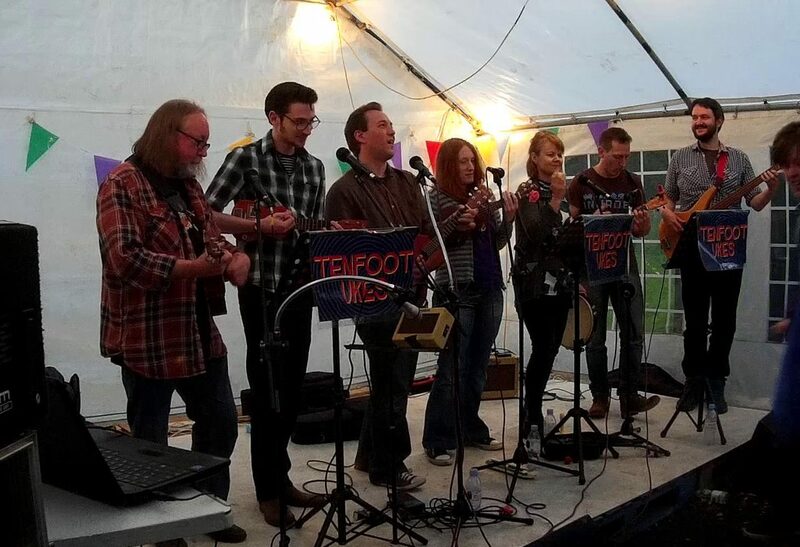 Tenfoot Ukes bring a different flavour to our four stringed friend. Instead of the usual Formby, you’re more likely to find them playing arrangements of The Flaming Lips, MGMT, The Waterboys, Supergrass, The Stranglers, and many more. “Thank you so much for coming today. You were all absolutely brilliant and sounded fantastic.